Using a compressor to cram more air and fuel into an engine is an increasingly popular way for carmakers to deliver the power consumers demand. The first turbocharged Indy car appeared in Freddie Agabashian’s Cummins Diesel Special of 1952. That’s the axiom long used to explain carmakers’ participation in racing. Skeptics say they don’t see the connection, but the Indianapolis Speedway was built in 1906 primarily to be used as a test track by carmakers. 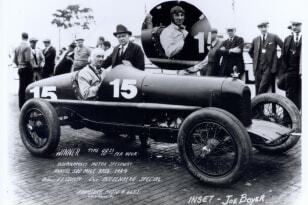 The circuit launched its signature 500 mile race in 1911, making this year’s Memorial Day classic the centennial event (there have not been 100 races in that time because of the interruption of World War II). During that century the Speedway has seen abundant innovation that is beneficial to the production cars we drive every day. Here are 10 of those major advances. In 1911 it was common practice for race cars to carry a driver and a co-pilot, the “riding mechanic.” No, he wasn’t supposed to fix the car on the fly; he was supposed to warn the driver when he was being overtaken. Inaugural race winner Ray Harroun saw no reason to carry the added weight of a passenger and fitted his single-seat Marmon Wasp racer with what’s thought to be the world’s first rear-view mirror. 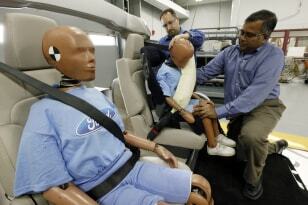 Other drivers groused that this wasn’t safe or fair, but they all immediately switched and the car industry followed. At highway speeds aerodynamic drag is something between a nuisance and a waste of energy. 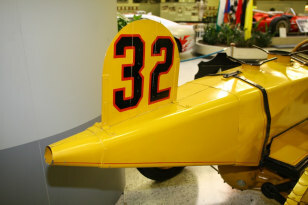 At racing speeds it is aero drag that puts the brakes on top speed, so it has been primary area of focus for Indy cars from the beginning, as evidenced by this steam-age streamlining of Ray Harroun’s 1911 Marmon Wasp. 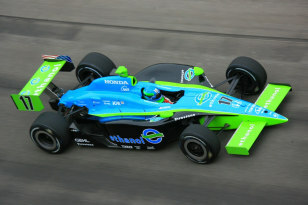 Today, cars like the Toyota Prius and Honda CR-Z cheat the wind to maximize fuel economy, but the understanding of aerodynamics as applied to ground vehicles (which differs from aircraft aerodynamics because of the interaction between the car and the ground) comes from high-speed racecars like those at Indy. Today we take the effective performance of hydraulic brakes at all four wheels as a given but for the first few decades of the car industry cars braked only two of the wheels. That braking system was probably mechanical, owing more to the brake on pioneers’ Conestoga wagons than today’s brakes. 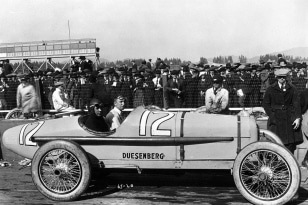 Racers place higher demands on their brakes than street drivers, so the Duesenberg Motor Co. entered a racer in the 500 fitted with hydraulically operated brakes at all four wheels in 1921. The success of such systems in racing led to their adoption in production cars, providing safer, more effective braking than is possible with mechanical systems. The Austin Mini Cooper introduced the modern transverse engine, front-drive design to production cars in 1959, but Miller racing cars were winning the Indy 500 in 1924 using front-wheel-drive. 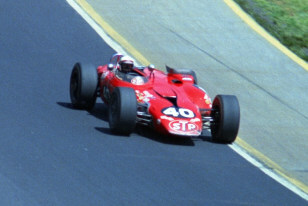 In the Miller the engine sat in front, aligned front-to-back rather than transversely, and sent power to the front wheels rather than the rears, as is normally the case in Indy cars in recent decades. Front-drive lends stability in slippery conditions, so it was beneficial when even racing tires were hard and free of grip. Front-drive also allows more cabin space in production cars, so the absence of the driveshaft to the rear wheels let the driver sit lower in a racecar, cutting wind resistance and boosting top speed. Tires were skinny in 1932, so this helped the car put the power to the ground more effectively. It also equalized tire wear, which can provide a significant advantage in the closing laps. It can also reduce the number of pit stops needed to change tires, saving even more time. Today companies like Audi and Subaru specialize in all-wheel-drive cars and most manufacturers offer all-wheel-drive versions of their popular models thanks to the advances in building compact, lightweight all-wheel-drive hardware for racing cars. Using a compressor to cram more air and fuel into an engine is an increasingly popular way for carmakers to deliver the power consumers demand with the fuel economy the government mandates. 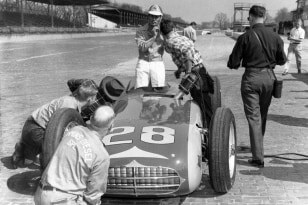 Racers (and aviators) knew this from early on, and the first turbocharged Indy car appeared in Freddie Agabashian’s Cummins Diesel Special of 1952. Turbocharging is ubiquitous today in diesel vehicles and will likely be equally so among gas cars in the near future. Drivers were understandably reluctant to be tethered to the race cars when the huge tanks of gasoline fuel made the cars little more than four-wheeled napalm bombs. They witnessed the pyrotechnic demise of colleagues too often to trust the idea of strapping themselves to their machines. But eventually they concluded that the added survivability in more common crashes offset the fear of fire, especially once drivers' fire suits derived from military pilot suits came into use. By 1956, Ray Crawford decided to use seat belts in his car and had the misfortune of testing the belts in a fairly minor front impact crash. Recent auto show concept cars from Jaguar and Audi confirm the potential value of turbine engines as generators for hybrid-electric cars. The engines are compact, lightweight, simple, smooth, efficient and will happily burn nearly any combustible liquid. Some of these same attributes also made turbines appealing to racers, a notion which reached fruition with the 1967 Indy 500. Wide-open rules in those days allowed Parnelli Jones to race using a helicopter engine in his all-wheel-drive STP race car. 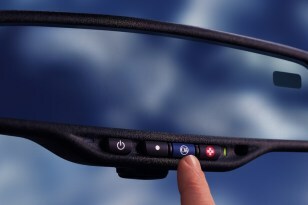 Today when controversy erupts regarding the cause of a car crash, it is often possible to gather clues from the on-board data recorder. That occurred last year in the infamous crash of a California police officer in a service loaner car when the gas pedal was snagged on a floor mat. 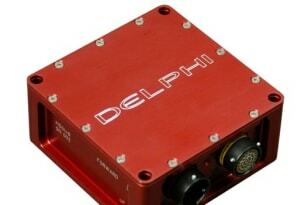 In 1993 the Indy 500 mandated on-board data recorders in race cars for the same reason, using components provided by parts-maker Delphi. 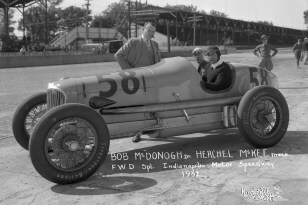 Use in Indy cars helped prove the technology in today’s new cars and advanced understanding of race crashes which improved race driver safety. Racer Leon Duray debuted ethanol as a race fuel in the Indy 500 in 1927, exploiting the fuel’s naturally high octane to make extra power. That was the exception however, and other competitors stuck with gasoline until a terrible gasoline-fueled fire during the 1964 race. Organizers switched to alcohol fuel in 1965 to make firefighting easier in the event of such a crash. As every bartender knows, alcohol mixes easily with water, but gasoline and other petroleum mix, like, well, oil and water, making it harder to extinguish a gasoline-fueled fire. After four decades of using methanol, Indy switched to corn-based ethanol in 2006. This year they’ve changed again, to E85 to help pave the way for wider-spread adoption of this blend of 85 percent ethanol and 15 percent gasoline in production cars.